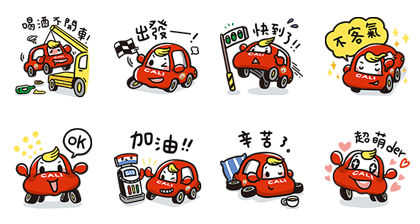 http://www.line-stickers.com/ – Little Red Bubu Car: Drive Safely Line Sticker | Little Red Bubu Car makes his sticker debut in this free sticker set, reminding you never to drink and drive! 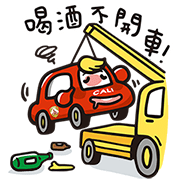 Think of your family and friends, and remember to insure your car! Available till August 25, 2016.